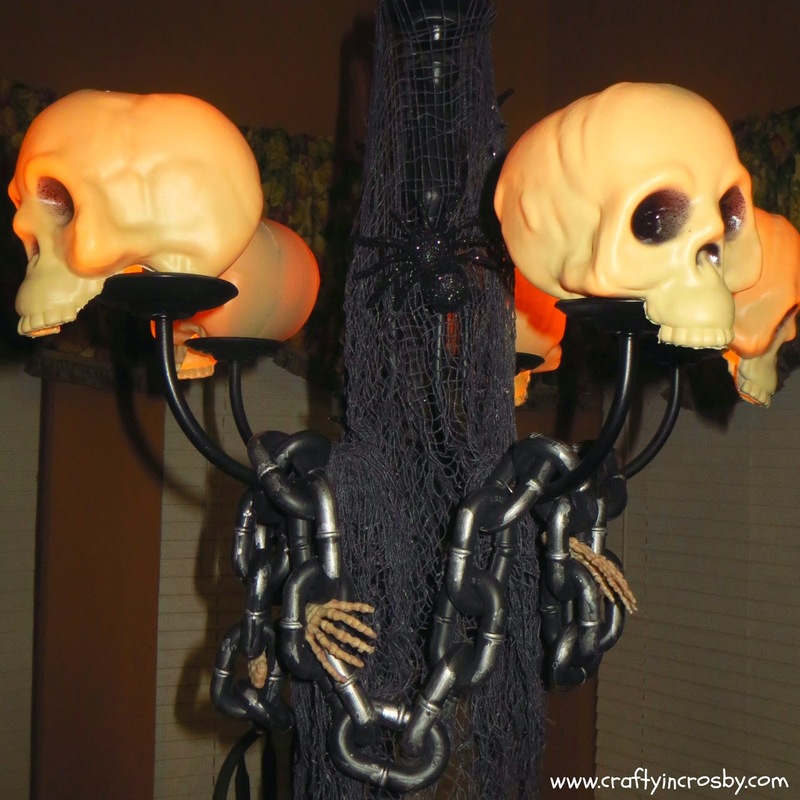 I wasn't going to stay up late and write this post, but I just had to share our Creepy Skull Chandelier! Can you tell we are amping up the Creep factor for this year's Halloween Decor? The grand total for this project came to $10 dollars and all the supplies, except for the little skull hands and chain, came from Dollar Tree! Can you believe it? It was incredibly easy! Chain - mine came from the thrift store, but I know you can get them for around a buck. Thin Wire or String to tie the chain and cloth to the chandelier. We recently added this Hot Knife from Michels to our craft tool arsenal and I'm so in pleased with how easy it is to cut styrofoam, foam board and yes even plastic with it. It is $16.99, but of course, I used a 40% off coupon!! Does anyone ever buy anything full price there? Well, not these 2 girls! Please follow the instructions on the package and make sure to tape the stand down to your counter, and let the knife warm up for at least 5 minutes. 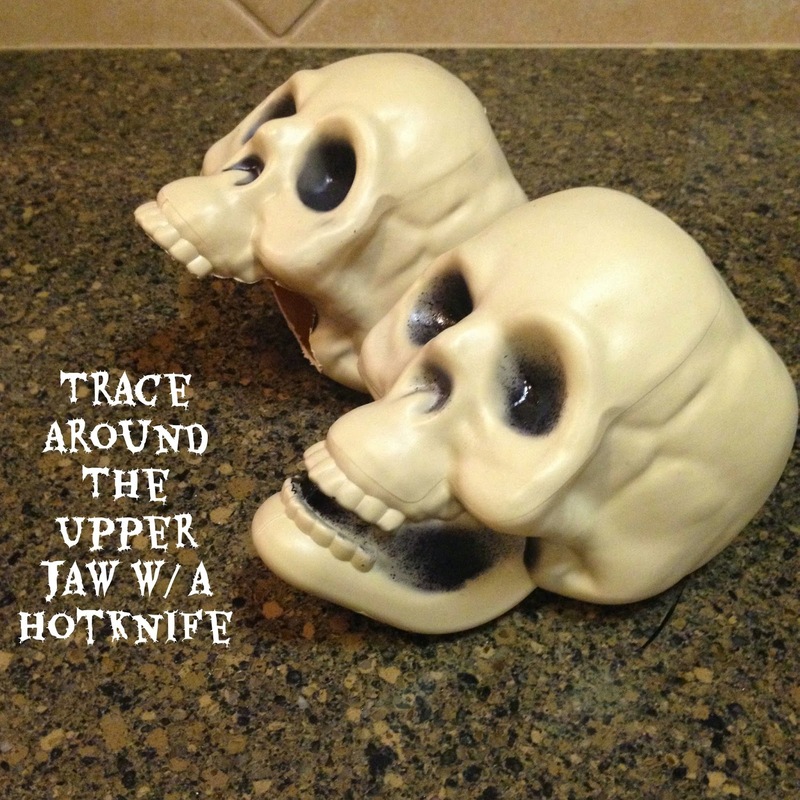 Just trace around the jaw line with the hot knife. Always make sure not to force the blade, it really will just cut through the plastic like cutting butter. Next - replace the chandelier bulbs with night light bulbs - got these from Dollar Tree too! so that you don't create a fire hazard. 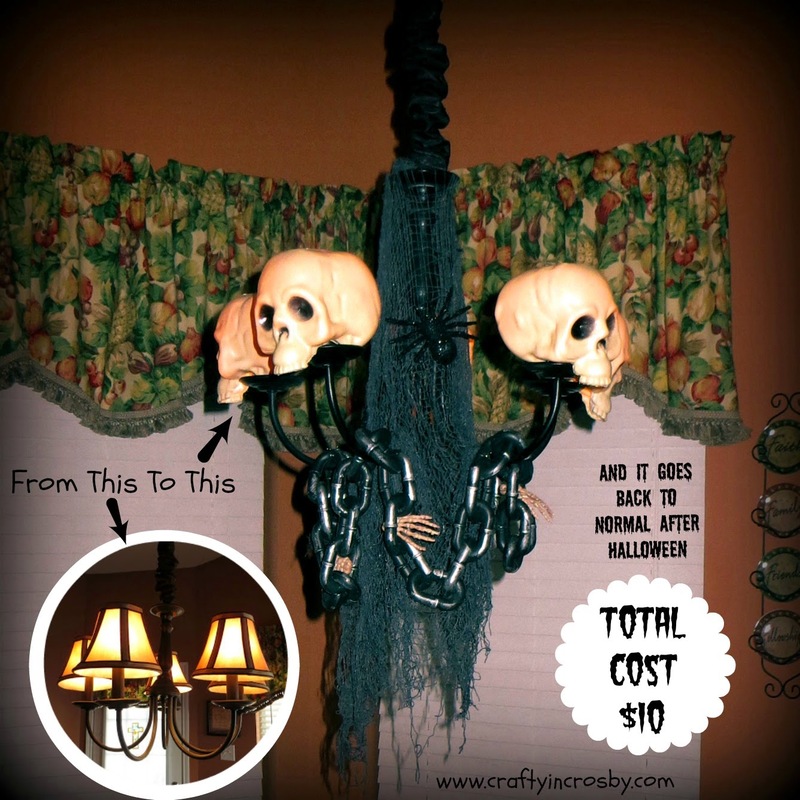 Wrap the inside portion of your chandelier with creepy cloth (Dollar Tree!) and use thin wire to tie on. Drape the chain over the arms and wire that on too. Then place the skulls over the bulbs and TA DA!!! 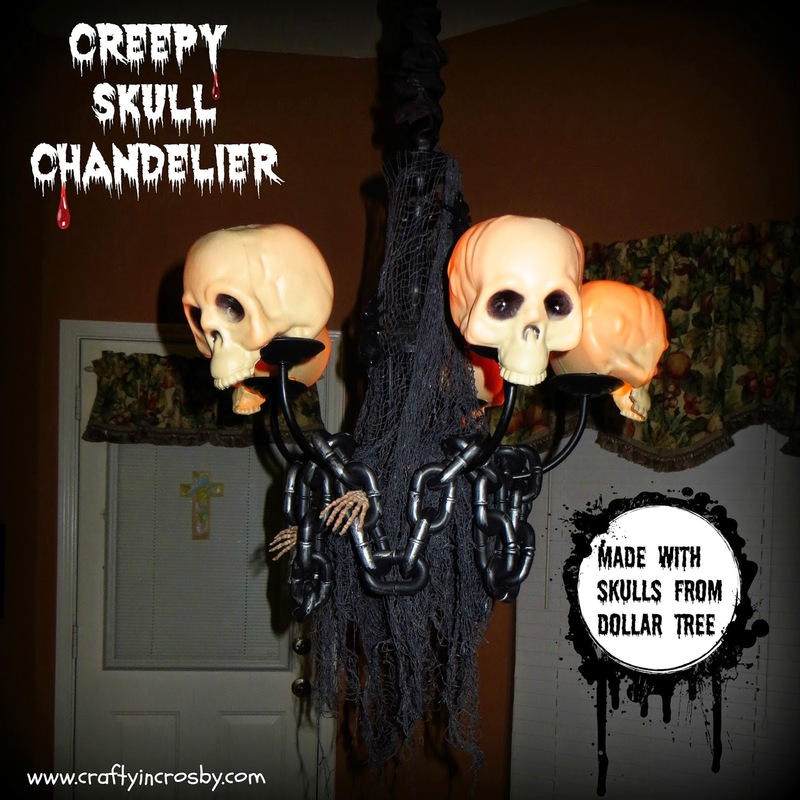 You have a super creepy Chandelier for Halloween, or maybe everyday, depending on your lifestyle!!! We also added a few skeleton hands, left over from our Creepy Graveyard Dirt Candle and a few sparkly spiders that came from the .99 Cent Store. I don't usually shop at the .99 Cent Store, but they have a great selection of Halloween items. Come back next week to see a Grandinroad Skeleton Wreath knock off made with some of their items. Since nothing permanently attached, it will all come right down after Halloween and can be re-used again and again! I know I say this all the time, but this is my "Favorite" Halloween decoration so far! Can't tell we LOVE Halloween out here in Crosby, can you? Very creative and it looks great! Thank you Kathryn. It's hard to tell in the picture, but the skulls glow a nice orange color too. Hope you are having a wonderful weekend! Come back soon! How fun! I love all the things you can do with those skulls! So clever and creepy... in a good way! 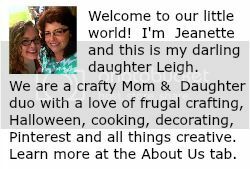 Thanks so much for linking up at Submarine Sunday @ USS Crafty! So very creative! 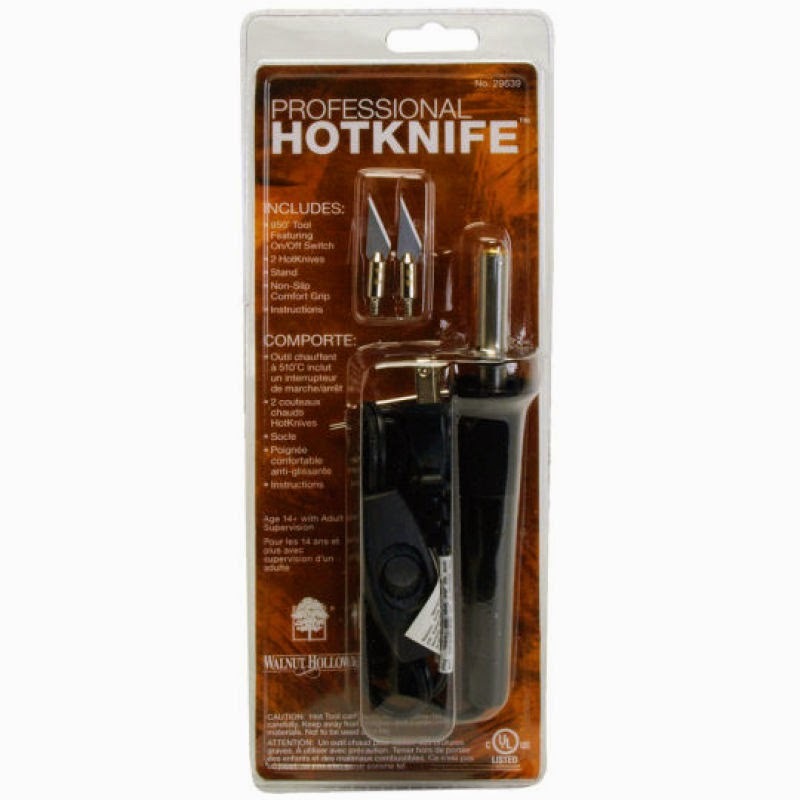 I have never seen the hot knife but now I know what to use my 40% off coupon for this week. It looks very versatile. Thanks for sharing this project with us!